Eat Sleep Play, the studio behind Twisted Metal, sheds eight employees, a co-founder, and its interest in creating console games. 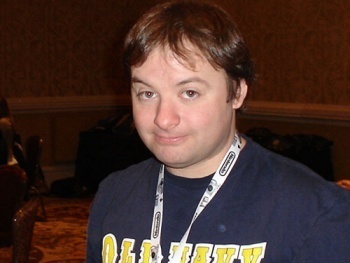 According to a story run in the Salt Lake Tribune, infamous God of War co-creator David Jaffe will be leaving Eat Sleep Play, the game studio responsible for the upcoming reboot of Twisted Metal. With Twisted Metal complete, the studio has reportedly already laid off eight employees, about 20% of the total staff. The restructuring also comes with a shift in focus; Eat Sleep Play will now work exclusively on bringing mobile, casual games to market instead of large console titles. "It's a platform that is in our pockets almost 24/7," said Scott Campbell, who co-founded Eat Sleep Play with Jaffe in 2007. "It's kind of the size and types of games we're playing. You can certainly reach a lot more people. That's pretty exciting for us." As for what Campbell wants to create? "Hopefully it's our brand of mechanics-driven gaming brought to these devices," he said. The article also points to Jaffe leaving the company, with the purpose of "also pursuing casual games." "[Jaffe's] excited to go into the casual space as well," said Campbell. "He's got some projects that he's excited about. So we're kind of going down two separate paths." Jaffe wasn't quoted in the source article, however soon commented on Campbell's statement via Twitter, writing: "The rumors of me making casual games post TM - as many of you define them - are highly exaggerated." The timing of this news seems a bit surprising as Twisted Metal is coming to stores on February 14th. With Jaffe leaving his own company, and both he and Eat Sleep Play both shifting focus toward some form of mobile or casual gaming, it definitely puts the future of the newly rebooted series in an extremely precarious position. Update: David Jaffe has confirmed via a series of tweets that he will be leaving Eat Love Play after dedicating at least three months to "balance & bug fix & tune" Twisted Metal. He has also confirmed that he will be starting a new company, that his departure from Eat Sleep Play was by choice, and that he has "zero plans to make games like FARMVILLE and ANGRY BIRDS." And while Jaffe seems sure about what his new company won't work on, he hasn't yet decided what it will, writing: "I have no idea what game we'll make yet. Could be iPhone, could be next-gen console. Have barely done ANYTHING w/new co yet."